The consumer culture is in full swing: discount malls, billboards, cars, a real estate boom. 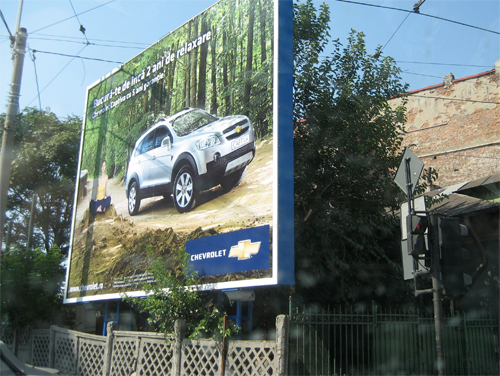 Above: Area along Dumbovita River near the Polytechnic University of Bucharest. A new Carrefour complex and a large apartment complex under construction.